The perfect thing for the morning after the night before. 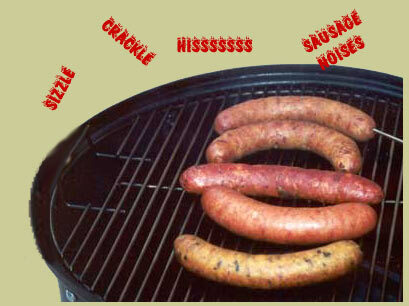 Slap a couple of Dolby Noise Reduction Sausages under the grill and you can be sure of a tasty breakfast, without the annoying hiss, pop and sizzle you get when frying regular sausages. 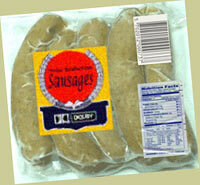 So grab a pack of Dolby Noise Reduction sausages next time you're out shopping, and enjoy your hangover in peace! Lovely. Available in pork, beef or 'meat'. Look for our special packs to be in with a chance of winning the very latest, state-of-the-art surround sound breakfast!